This isn’t a mixtape..this is an audio soundtrack to my hip-hop life. This is a collection of people I respect and admire both personally and professionally. I want to send out a VERY SPECIAL THANKS to EVERYONE that was instrumental in making this possible. I reached out to all these artist individually and their response is not only why I have genuine love and respect for them all…its also why I must make this series something special and do what I can to make sure all our goals are reached! 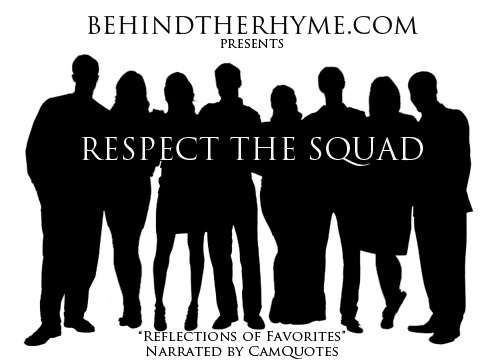 We thank and appreciate you all for liking, sharing and downloading this EVENT known as Respect The Squad! ← We Salute You 1998!